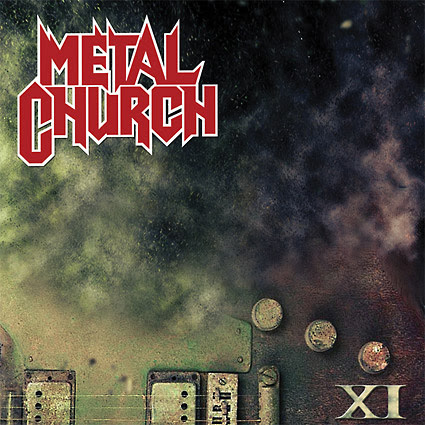 METAL CHURCH: portada y lista de temas de "XI"
METAL CHURCH regresan con su nuevo álbum "XI", que será lanzado el 25 de marzo a través de "Rat Pak Records". Producido por Kurdt Vanderhoof y co-producido por Chris "The Wizard" Collier, el undécimo disco de la banda, marca el regreso del legendario vocalista y frontman Mike Howe. METAL CHURCH: nuevo tema "Killing Your Time"
METAL CHURCH: New Album Trailer / Featuring the track "Reset"
METAL CHURCH: nuevo tema "Reset"
METAL CHURCH anuncian su nuevo disco en directo "Classic Live"
Metal Church lanzará el directo "Classic Live" a través de Rat Pak Records el 28 de abril. Producido por Kurdt Vanderhoof, esta edición especial contará con nueve canciones clásicas de Metal Church grabadas durante su gira de 2016 y también incluye una versión de estudio de "Fake Healer" a dúo con Todd La Torre. Pues las vaguedades de siempre, esperó dos semanas para anunciar su decisión y permitir que la banda pudiese organizarse, todo se desarrollo de un modo amistoso... da las gracias a la banda y fans por todo... Al hombre le falta tiempo. "... Obviamente, esto no es una decisión fácil. Después de muchas conversaciones conmigo mismo, mi esposa, mi familia, mi representante y Kurdt Vanderoof y Mike Howe, sé que estoy haciendo lo correcto para mi futuro." It is with a heavy heart that I am announcing my departure from Metal Church. I came to this conclusion 2 weeks ago, and agreed to hold off on the announcement until Metal Church had made some decisions on what they were going to do.This is obviously not an easy decision. After many conversations with myself, my wife, my family, my management and Kurdt Vanderoof and Mike Hove, I know I am doing the right thing for my future. Metal Church ha contratado a Stet Howland (ex-W.A.S.P.) para tocar la batería en todos sus conciertos de verano. Se une al grupo como reemplazo de Jeff Plate, quien anunció su salida de Metal Church el mes pasado. Stet Howland (ex-W.A.S.P.) que reemplazo en la batería a Jeff Platepara, y que ha estado girando con la banda este verano, se une al grupo como miembro permanente. Fans that have seen METAL CHURCH live at their recent shows in the United States and Europe may have noticed a new face on stage. The guy behind the kit has been none other than Stet Howland, and now that the transitionary process is complete, METAL CHURCH is happy to announce the addition of Howland as the band's permanent new drummer. METAL CHURCH: detalles de su nuevo disco "Damned If You Do"
Metal Church lanzará su duodécimo álbum de estudio, "Damned If You Do", el 7 de diciembre a través de Rat Pak Records. El trabajo estará disponible en Europa a través de Nuclear Blast y en Japón a través de King Records. 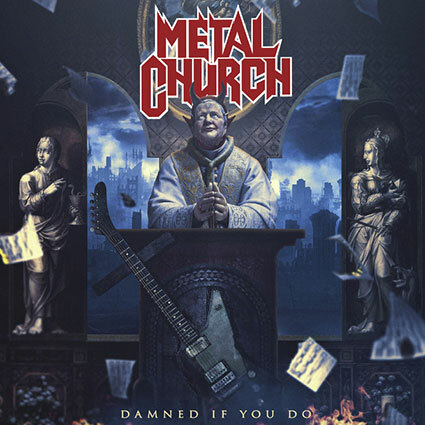 West coast metal veterans METAL CHURCH will release their 12th full length studio album »Damned If You Do« via Nuclear Blast Records on December 7, 2018 (Rat Pak Records/America & King Records/Japan). The latest release is the follow-up to their highly successful 2016 album »XI«, which saw the return of legendary frontman Mike Howe. 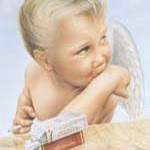 »Damned If You Do« is a cross between the band's iconic »Blessing In Disguise« and »The Human Factor«. This new offering features ten fully-charged, classic-metal influenced songs that showcase the sound that has garnered the band a solid fanbase for over 3 decades. METAL CHURCH: nuevo tema "Out Of Balance"